Okay, so I've been trotting through our food challenge since Wednesday morning. And, I've been doing one fine job of reigning in my appetite and eating less instead of more and focusing on Christ instead of food. I was feeling quite proud of myself when my food world came crashing down. Pride, most definitely, precedes a fall. You know, when you're in your late 20s, everyone starts popping out babies. Most of my friends are on their 2nd or 3rd little bundle of joy. And so, baby showers are a constant in our lives. Consequently, the husbands have to fly the coop with the dogs or the children or any other loud/dirty thing, so that the little ladies can gather for cake, punch, and gifts. We just hop from house to house, showering one precious mama after another. Anyway, this morning one of these husbands (Josh, our BIL) found shelter in our home when his sweet wife (Lauren, my SIL) was playing hostess at their home. And, just like anyone who possesses true Southern hospitality, Brian and I offered to go to breakfast with him. Aren't we self-sacrificing? If we'd been truly hospitable, we would have prepared a feast at our home. But, alas, we did not. So, we quickly claimed our table at a new restaurant about a block from our house. Here's a piece of advice for you who are health conscious: If a restaurant is known for its barbecue, it likely doesn't have a low calorie breakfast menu. I caved. I crumbled. I had biscuits and gravy!!!!!!!!!!!!!!! If you're on the verge of losing all respect for me, then you should probably stop reading now, because it only gets worse. I enjoyed every morsel that entered my deprived mouth, and I felt no guilt or shame. We finished up our feast and went about our day. Then, the afternoon rolled around. We found ourselves out on the town, running errands when hunger struck our bellies. I'm pretty sure pimento cheese sliders (which sound disgusting, but are truly delectable) aren't part of the "Dialing It Down" plan. At least we accompanied them with sweet potato fries, right? Oh my stars, y'all! I'm a failure. I'm unable to adhere to any sort of exercise in discipline without the Lord. Therefore, there is now no condemnation for those who are in Christ Jesus, 2because through Christ Jesus the law of the Spirit of life set me free from the law of sin and death. 3For what the law was powerless to do in that it was weakened by the sinful nature, God did by sending his own Son in the likeness of sinful man to be a sin offering.c And so he condemned sin in sinful man, 4in order that the righteous requirements of the law might be fully met in us, who do not live according to the sinful nature but according to the Spirit. The bottom line of this whole thing is that I desperately need Christ. 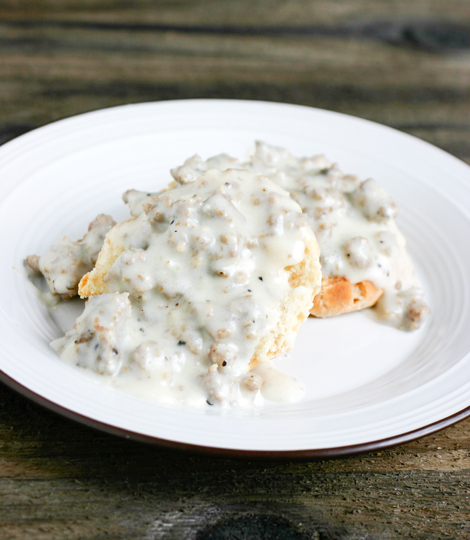 I'm but a plate of biscuits and gravy away from failure. I'm sure to fall away from His good and perfect plan for me, if I don't allow Him to constantly control my life. I need Him, and so do you. We are sure to fail without Him. Certainly, I realize that it might seem silly to relate sin and death to eating biscuits and gravy and sliders, but the whole point is that there is no good in me. I have no discipline or worthiness on my own. Father, I need Thee every hour! That's not failure. There is a time for "rest and celebration"! It shouldn't be every meal, but it is more than okay to chill and enjoy without counting calories on occasion. This is great! I smell an over-achiever!...but a beautiful one!